M-K IIA2 GEN2 Tactical Trigger from The Wisconsin Trigger Co.
Do you shoot an AR-platform rifle? Here’s an excellent trigger upgrade option that has recently returned to the marketplace. The Wisconsin Trigger Company (WITC) has resumed production of the legendary Milazzo-Krieger M-K II trigger for the AR-platform rifles. 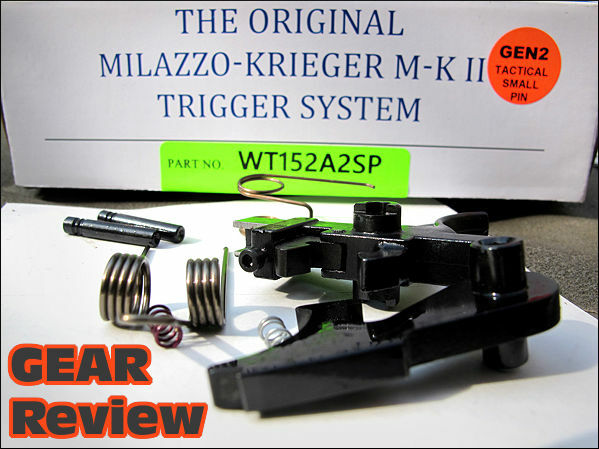 Not merely marketing a replica of the original Milazzo-Krieger design, Wisconsin Trigger now offers an enhanced, drop-in version called the M-K IIA2. An easy install, the Milazzo-Krieger trigger drops in with no special tools or machining required (and no modification of the safety selector switch). For those who are looking for an extremely crisp AR15 trigger that closely mirrors the “feel” of a finely tuned M1 / M14 trigger, this trigger might be the solution. The first stage is exceptionally clean and smooth due to a proprietary diamond-grinding process. I felt that the first stage travel was longer than a Geissele, but many guys will prefer that. Upon reaching the very noticeable and defined “wall” of the second stage, a further increase of pressure provides the instantaneous snap one looks for in a high-quality trigger — complete with a total absence of anything resembling creep or slop. If you follow the instructions in the box and watch WITC’s informative how-to videos, installation of this trigger is extremely straightforward, requiring no special tools or fitting. As supplied straight from the factory, the first stage requires about 2.25 pounds of take-up before encountering “the wall” of the second stage. For this purpose of this review and to ensure “making weight” in CMP Service Rifle Competitions, the (white) 5-lb. disconnector spring was used. The weight of the second stage came in right at an extremely repeatable 5 lb. 3 oz. (averaging +/- 1.5 oz.) for a ratio of about 40/60 between the two. Upon release of the hammer, the disconnector reset is decidedly short. National Match shooters in particular will appreciate the very short but easy-to-recognize trigger reset during rapid-fire strings. As with most National Match-grade triggers on the market, the Millazo-Krieger utilizes proprietary pins that come supplied with this unit. They must be used for final installation and are purposely oversized to a specific diameter for a very snug fit. This is to ensure the trigger and hammer rotate solely on the pins, as opposed to the pins eventually rotating inside the receiver. 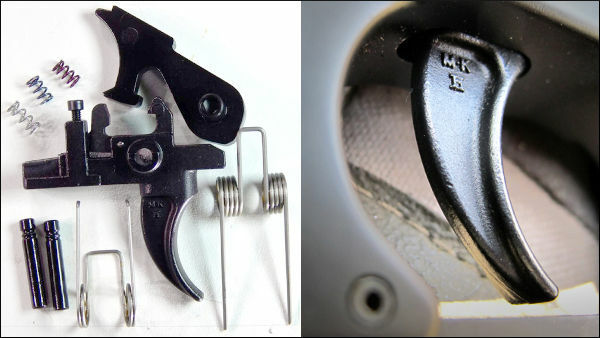 It is best to use standard sized mil-spec trigger and hammer pins for the setting of tensions (trigger weight) before final installation to help avoid undue wear to the receiver pin holes. Final adjustment of second-stage pull weight must be done BEFORE final installation. It is recommended to first set the amount of desired disconnector engagement by performing a very simple process that is detailed in the included installation instructions from the TOP of the trigger. 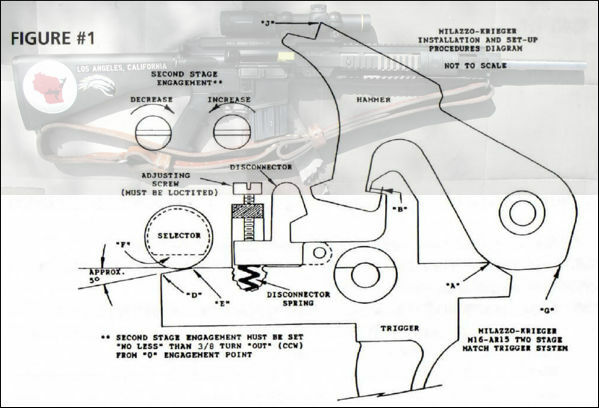 The swapping out of disconnector springs and final tuning of the second stage can then be done, but only from UNDERNEATH a disassembled trigger. The disconnector tensioning springs are easily swapped out by removing the spring plug from the bottom of the trigger housing that exposes the spring pocket. After inserting the desired weight spring, the spring plug must be installed at least flush with the bottom of the trigger housing. Installing it deeper will add trigger pull weight on the second stage. Installing it too shallow will interfere with trigger movement. 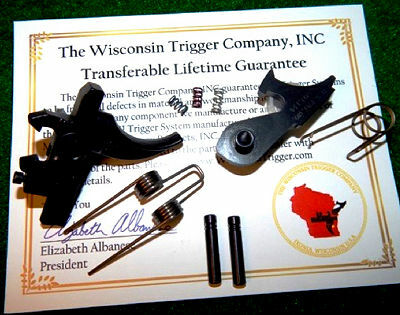 The Wisconsin Trigger Company offers a full lifetime warranty to all unaltered parts of its triggers. This lifetime warranty is fully transferable when the trigger is sold to a new user! When have you heard of an AR component manufacturer with a transferable warranty — we’re impressed. Not just a retailer, John Scandale of Keystone Accuracy is a distributor of these triggers. He currently has many in stock and for sale at a very special introductory price. The $265.75 trigger kits come complete with everything you need: Trigger unit assembly, trigger return spring, full strength hammer spring, two proprietary oversized trigger & hammer pivot pins and three disconnector tensioning springs (3.25 lb., 4.5 lb., 5.0 lb.). Also included is a comprehensive installation manual, a color-coded disconnector spring selection chart, some promotional items, and the lifetime warranty card. 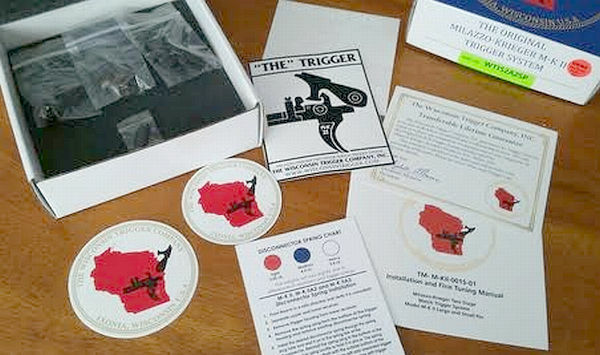 Share the post "Milazzo-Krieger AR Trigger by The Wisconsin Trigger Company"
The U.S. House of Representatives. in a decisive 242-161 vote last week. passed H.R. 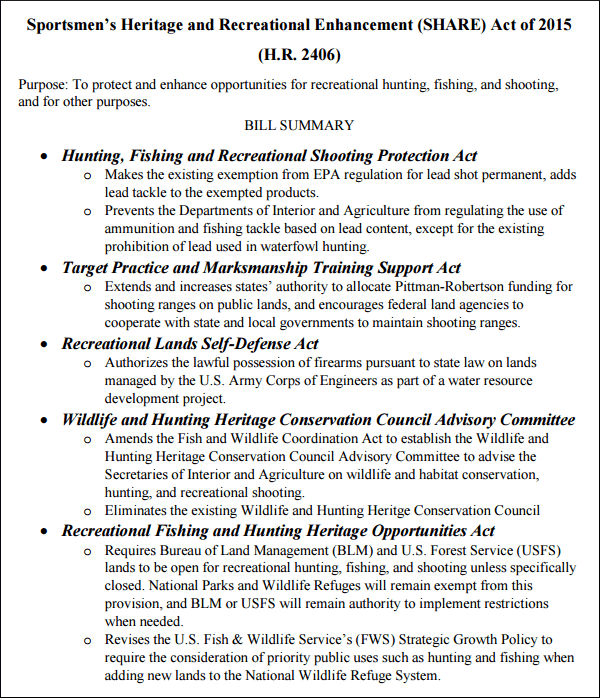 2406, the Sportsmen’s Heritage and Recreational Enhancement (SHARE) Act. 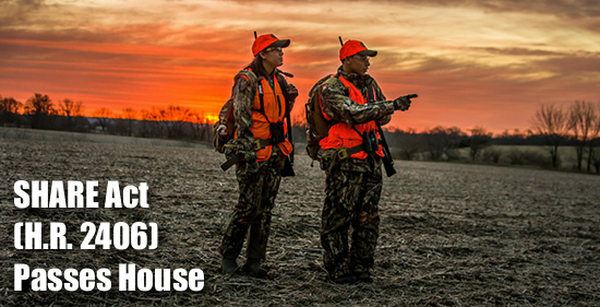 Because the SHARE Act is the most important pro-sportsmen and pro-hunting legislation in a generation, this legislation was a top priority for the National Shooting Sports Foundation (NSSF). Twelve Democrats joined the Republican majority to ensure passage. Only four Republicans voted against the SHARE Act. All attempts to amend the legislation with unfavorable provisions were defeated. Favorable amendments were passed. Read the NSSF press release. Share the post "Sportsmen’s Heritage & Recreational Enhancement (SHARE) Act"